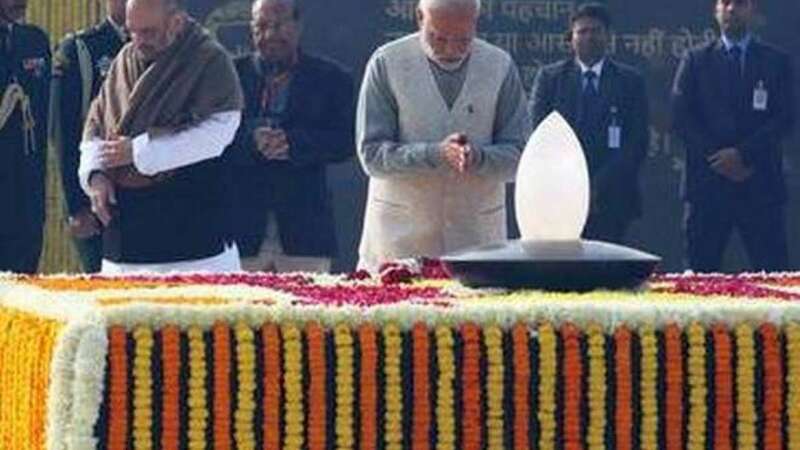 New Delhi : Politicians from across the spectrum, including President Ram Nath Kovind and Prime Minister Narendra Modi, paid tributes to former Prime Minister Atal Bihari Vajpayee on his birth anniversary on Tuesday. "Remembering our former Prime Minister and a true Indian statesman, Atal Bihari Vajpayee, on his birth anniversary. Atal ji will always live on in the hearts and minds of the people of our country," the President tweeted. Vice President M. Venkaiah Naidu tweeted wishing Vajpayee and said: "The Nation is ever grateful for the invaluable contributions made by him." Modi, while remembering Vajpayee, also tweeted a video of the late leader. "Tributes to Atal ji on his jayanti. We reiterate our commitment towards creating the India he dreamt of," Modi said. The official twitter handles of the Bharatiya Janata Party, Congress and the Aam Aadmi Party also wished the veteran leader. "Atal Bihari Vajpayee was a leader who was respected and loved by all. A man who believed in the power of democracy above all. We honour him today on his birth anniversary," the Congress tweeted. West Bengal Chief Minister Mamata Banerjee tweeted: "Tribute to Atal Bihari Vajpayee ji on his birth anniversary. He was a statesman who rose above partisan politics for the country's good. We miss him a lot."